This quote clearly shows how important education is for furthering your life. Education stays bound to you, even at a time when the whole nation decides to stay against you. A look at the history of India, and you would see how educated people fought their battles with rational and won them. Baba Saheb Ambedkar, a true inspiration, brought out his knowledge, education and learning and put them to perfect use. Instead of trying and bickering over things that were not necessary, or were highly irrelevant, he put all his efforts in bringing ahead the backward class. Do you think his efforts have any value in today’s age and time? Do you think the reason he brought in reservation makes any sense today to half the people. Is Education a Sham in India? As Victor Hugo once said, “He who opens a school door, closes a prison”. So very true this statement is, but hardly applicable in a place like India. You have all heard of things like primary education being free, and all students being educated. 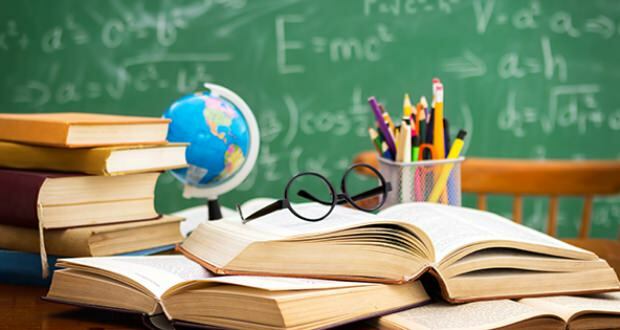 A latest government statistics shows a statistics of about 5,816,673 teachers teaching the primary school students while in a few states, count three, the students enrolled for primary education was 93%. Very recently government released their sarva shiksha abhiyan scheme where they made primary education mandatory and also free for all the kids in the nation. If that is so, then where are the beggars, the kids working in the tea stalls and other places coming from? Why have they not been made to study? Government cars and other vehicles seem to be passing through all the signals, where kids who are supposed to be in primary school, the education of which is compulsory, are found begging. It is indeed sad that the very reason why a lot of leaders fought and died has died in itself. What was supposed to be a nation’s problem is today a citizen’s problem or at the max a NGO issue. It is a shame that the government manages to spend only 4.1% of its total GDP on education. In fact, most of this 4.1% goes towards increasing the momentum of education within the urban lands. What about the rural lands? Is there no point in educating the people there? If you have read A Thousand Splendid Suns by Khaled Hosseini, you would remember the statement he makes in the book “Marriage can wait, education cannot”. Ever tried explaining this to the backward classes, who are rotting in poverty the importance of education, or are we simply interested in looking after our affairs and moving on in life. Sarva Shiksha Abhiyan, a government project that was started aiming at education, became a total failure of a sort when government reduced the funding towards this project at the appropriate time. You would see that just when the people needed funds, central government reduced it to an average of 4.4% of the total spending on education. If these figures are anything to go by, then one can surely say that education is in a poor state in the country. If you have spent your life in the urban parts of India, you would have seen those kids walking in shirts and trousers with a blazer and tie. Did you not want to be a part of that schooling culture too? Those kids, convent educated, smartly dressed formed only a small percentage of the kids taking education. If 10% students are being educated, only 0.01% were in the convents. The rest of them were either a part of the state boards, government schools or public schools with majority being from public schools. As part of a social responsibility project, I had to visit a small town in India to check on the public schools and corporation schools in India. I was taken aback, when I found the kids playing in the backyard and the mothers not willing to send the kids to the school. On being probed, they told me how the school’s drinking water was filled with industrial wastes. They even told us they did not have teachers and proper schooling facilities. In fact, these kids did not even have a proper road to reach the school, and the kacha road was filled with cow dung and other things. I was horrified! Having studied and finished my education in the best possible manner, I had never seen anything like this. The other school we visited was in a better condition. The drinking water was an issue there but at least they had teachers. But the shock of my life came when I saw what the teachers were teaching. They were teaching spellings that they knew nothing about. Sunday was spelled Sunde and Monday was being spelled Mndy. Suddenly two ones are became three and all the additions were a big mess. On being asked about food, the sponsored mid day meals, they claimed how diseased the food looked. In fact, they took us to the kitchen area filled with pests. I could only stop myself from being enraged. It’s not about rural and urban, it is about the whole system. The differences lie between the public, and the private schooling. Of course, you find private schools only in the urban areas, but public schools are found in both rural and urban areas. I would rather have these kids sent to an NGO then to the corporation or public schools, that our country is proud about. The quality is really bad because there are no teachers willing to teach here. There are no facilities for the kids here. Would you have studied without a bench in your classroom, here kids don’t have the basic utilities like books, pens, sanitation, cleanliness etc. Once I asked a kid who stayed in my neighborhood and worked at the local mom and pop store if he would not like to learn something new. I was taken aback by what he said. We are taught nothing at school. There are no teachers there. Well, even when there is a teacher here, the student learns things wrong. It is not an over exaggerated scenario. I have seen and been there. We talk of removing reservations, but do we even know how the backward classes are treated down in the rural areas? There is no way they can actually come up if we don’t find a way to provide them with education. The system manages to push the reservations towards the backward class people who are affluent, but neglect the needy ones. It’s time we pull up our socks and begin questioning how our taxes are being used? It’s time we gave back to the society what it has given us. It’s time we did something for the society, else we will see more population than education. I don’t know how many of you actually agree with me over this, but I would love to hear your opinion on this matter.